When it comes to replacing your missing teeth, there may be several options. But, considering dental implants are one of the best ways to restore your missing teeth because they offer a natural-looking restoration that can easily last 30 plus years. However, many patients shy away from this procedure due to some common myths and misconceptions about dental implants. By dispelling some of the most common myths and learning about the process, you can make an informed decision about whether replacing your missing teeth with dental implants is right for you. Patients are often apprehensive about getting dental implants Sydney because they think it will be a painful procedure. But, the procedure itself is done under local anaesthesia, and there is no point in saying it is a painful treatment. Yes, the dentist will numb the surgical site by administering anaesthesia. In fact, if you are too anxious about the procedure, you can choose sedation dentistry. You will be administered with sedation medicines through IV or you can take pills the day before the procedure or you will be given nitrous oxide to help you ease and relax during the procedure. This is one of the primary reasons that prevent patients from getting dental implants in Sydney. The initial cost of the dental implants may be higher, but they will save you a lot of money in the long run. The cheap dental implants are absolutely worth the time and investment. They don’t just replace your missing teeth, but they help improve the overall health of your teeth and gums which is not provided by dentures and bridges. Many dental practices provide different payment plans to make the treatment affordable for all. You can also check with your dental insurance provider and use your credit cards to get the procedure done. 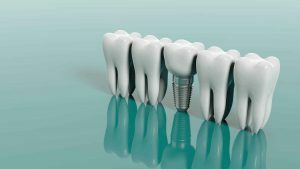 Dental implant technology has an evolutionary history of around more than 50 years, and they are considered to be the standard golden treatment for replacing a missing tooth in dentistry due to its high success rate of 95%. So, they are not risky, and an experienced dental practitioner will carefully perform the implantation procedure. All you need to do is, choose the right dentist for getting affordable dental implants. Yes, of course, implants are clearly visible, but they cannot be identified as a prosthetic tooth. The Implants functions, and look like a natural tooth so that people cannot notice unless it unless you reveal them. The complete healing time for dental implants surgery takes six months, and it may vary from person to person based on their oral and overall health condition. In fact, nowadays, patients are getting same day implants also known as immediate loading implant.